The UK’s governments spend more money on medical research than anyone else and so as part of our ‘fund raising’ we asked them how much they spent on mental health? After 18 months of research and more than 100 Freedom of Information Act requests we estimate UK governments spend about 8% of their funding on mental health research. The World Health Organisation calculates a measure of the burden of disease for different illnesses on the population. They calculate that the effect of all mental illnesses represents 12% of the burden of disease on the UK population and in Scotland the Scottish Public Health Observatory calculated that the impact in Scotland is 17%. The NHS in Scotland call the burden of disease a “globally recognised” measure and Public Health England in its recent Health Profile for England: 2018 report cited the measure over 30 times. By signing our petition, you are asking the Prime Minister and the First Minister to spend at least 12% and in Scotland 17% of medical research funding on mental health. We estimate this would amount to an additional c.£70m pa of funding. Your signature will help raise the money needed to fund 10 new 3 year PhD’s every week. Each one will search for the answer to a new question about mental illness. What questions on mental health would you like answers to? Our petition is being kindly hosted by national campaigns website 38 Degrees who have over 3 million members. Please join them. “Why ‘38 Degrees’? 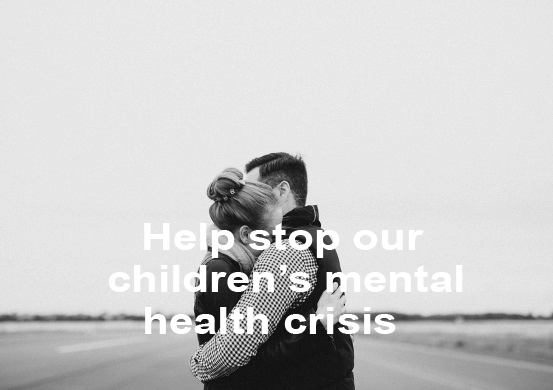 38 Degrees is the angle at which snowflakes come together to form an avalanche – together we’re unstoppable.” Let’s stop the crisis in children’s mental health now. You can campaign online or offline for more funding for mental health research. A good way to make a change is to write to you Member of Parliament. Mental illness affects our children more than any other illness. This table shows the burden of the top 5 illnesses on young people under the age of 25. Currently the level of mental health research funding is very low. 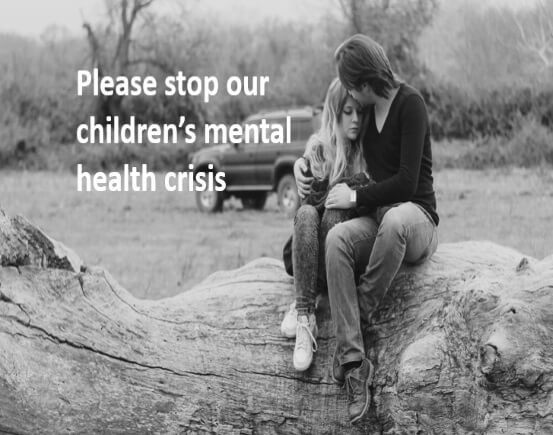 We need more funding to provide the NHS’s mental health professionals with the new treatments they need to help our children and young people in a fast changing world. Young people are faced with more social, body image, academic and financial pressures than ever and without research we cannot find new ways of dealing with these new issues. The burden of disease measures the impact of illnesses on the population on a like for like basis. I feel that mental health research funding should be allocated so that it at least matches the burden of disease of mental health. This is 12% in the UK and 17% in Scotland. Currently Miricyl estimates UK funding needs to increase by 40% and Scottish funding needs to more than double for it to match the impact of mental health on us and our children. Please will you help make this change happen. You can make a noise in other ways too. By getting into the local press, doing a talk at a local society or Rotary Club, or doing an interview on local TV or radio you can create a Miricyl. If you would like to fundraise you could organise a dress down day at work, a pub quiz or do something active like take up a running, swimming or cycling challenge. We started our research of the UK’s governments funding of mental health with a Freedom of Information Act request asking them how much they spent by illness and by age, as children and young people are our focus. None of the funders publish this information on their websites and none of the funders could provide the information in the format we requested. In fact, there are 8 government research bodies in the UK and no two bodies report funding of mental illness in the same way, if at all. In the UK people affected by mental illness are the government funders third largest ‘customer’ and the second largest in Scotland. With respect to young people children affected by mental illness are the largest beneficiary of medical research. Yet our governments do not know how much they are spending on their key stakeholders. The bottom up research that we have conducted therefore comes with a health warning that it is not 100% accurate. The following table shows total medical research funding, the % of medical research funding spent on mental illness (excluding generic and public health funding so that it is comparable to the burden of disease) and the deficit in funding relative to the burden of disease, 12% across the UK and 17% in Scotland. This table shows government funding of mental health research. If you would like to help change this, please sign our petition and we will do everything we can to make the change happen. The following table shows the burden of disease information for the top five illnesses.